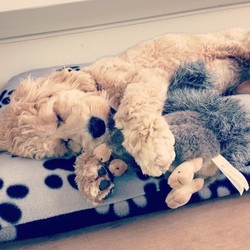 The Home of the Cockapoo! The Cockapoo Owners Club UK was founded in 2011 after identifying a need for an increased awareness of ethical breeding practices of Cockapoos and a place for potential owners to gain information on what to look out for with breeders, and to provide a support network to help owners through all stages of their dogs life. Our aim is to provide a club with the needs of both the dog and owner in a friendly and welcoming environment.We provide all our services for free. 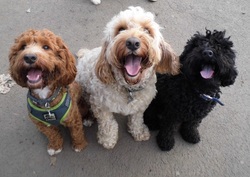 As well as this informative website , we offer free club membership via our very popular facebook members group which is a great way to get to know other members, share pictures and videos and discuss all aspects of Cockapoo ownership. Facebook members also have the opportunity to join in on club dog walks and social gatherings which happen all over the UK and are arranged by our members from a couple of people to larger group gatherings. In addition to this Club membership allows you to also join our other club facebook groups/pages. A club shop page page to buy and sell unwanted dog bits and bobs and buy some lovely handcrafted dog goods by our members who have businesses. A cockapoo rehoming page that we share details of any cockapoos looking for a home that are in UK rescues. 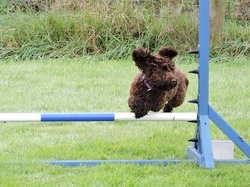 A page for information and sharing of dog friendly holidays and places to visits , a agility group for cockapoos who do agility and a senior group for cockapoo ages 7 years and over , so everything you could want or need we provide! We look forward to welcoming you to our friendly and caring club. Want to know about the different types of cockapoos available, the generations e.g F1 or F2? and coat colours then go to section All About Cockapoos, also includes pictures of Cockapoo Puppies through to Adults. How do you know you are buying from an ethical and reputable breeder? What do you need to be aware of? 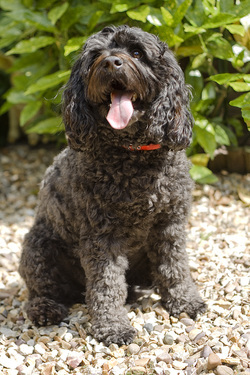 The Cockapoo Breeder and Breeding section gives you important information on what to look for and questions to ask and consider, alongside important information for those considering to breed. : Finding the Right Breeder. Cockapoo Health Section gives information on appropriate Health tests , statistical information on our 2013 Cockapoo Health Survey and Case studies and stories of health conditions that some of our cockapoos have had. Getting a puppy? or about to bring one home..then read our advice in our Nursery section including links to our bedtime routines and how to deal with puppy biting and toilet training. In the section Looking After your Cockapoo it has everything you need to know re grooming, Diet, Fleas, worming, teeth, vaccinations, spaying and neutering and much much more!! The training and Agility Section has lots of useful information and advice on training issues such as Separation Anxiety, barking, recall training and some real life case studies of our members issues answered by Anne Rogers APDT trainer and Behaviour Consultant and much more! Also see our feature on agility a useful guide for the beginner and those interested to learn what is involved. Since July 2012 the club and it's members have been fundraising. We started off for Hearing Dogs For Deaf People and in the summer of 2013 we were able to name a cockapoo puppy on behalf of the club which we named Harley and we followed his progress through training to be a Hearing Dog. Since then we have fundraised for Cancer Research UK, Support Dogs, Doodle Trust ,The Oldies Club , Animal Rescue & Rehome, Service Dogs UK, and Harleys Hounds Rescue our current charity for 2018, raising over £50,000 so far. 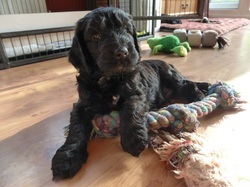 To read more about our Fundraising see our Fund Raising section and to read about Harley see his blog Paws For Hearing. Thanks to all our club members who supplied photos for the website and slide-shows.